Blends of Art and Live Performances combine the best and most memorable experiences. SCAA art exhibit receptions with live music by local artists or students to other live performances whether presentations of musical, theatre, or dance on a stage or within another event are reasons to check out SCAA upcoming calendar listings. 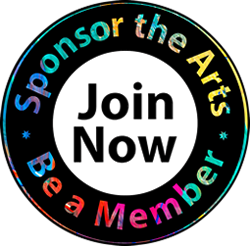 Join South Cobb Arts Alliance art and live performance blends and other events. Become a volunteer to plan and promote live performances in our community. SCAA will continue to showcase local artists and spotlight their performances at more up close and personal venues. Since 1989 South Cobb Arts Alliance presented the summer Candlelite Concerts series. The concerts were originally held on the lawn with candles and lites guiding the audience to their annual lawn space until tables were added and stadium like seating became the norm. The Candlelite Concert series was a part of the ongoing commitment by SCAA to bring entertainment to the citizens of Cobb County. Sponsored by the South Cobb Arts Alliance, in support and partnership with the Cobb County Board of Commissioners, the community was entertained by groups such as Kerry Ayres & Rambunctious, Kayla Taylor Jazz, Delta Moon, Montana Skies, Milkshake Mayfield, Blair Crimmins and the Hookers, Men in Blues, Red Head Diamond, and more. Join us in showcasing local artists by volunteering with our Live Performance Committee. Contact SCAA for LIve Performance or BLEND events, or volunteer opportunities, as SCAA is an all volunteer organization. Metro Atlanta has been the platform for young musically inclined talents for decades, and Cobb County has been the home to some of the biggest internationally acclaimed music professionals. SCAA events hope to spotlight some of the future stars that are shinning right now. All genres of music are welcome for the unique live performances blending art, exhibits, or highlighting SCAA community focused events. Help us and our all volunteer arts organization support student live performances.